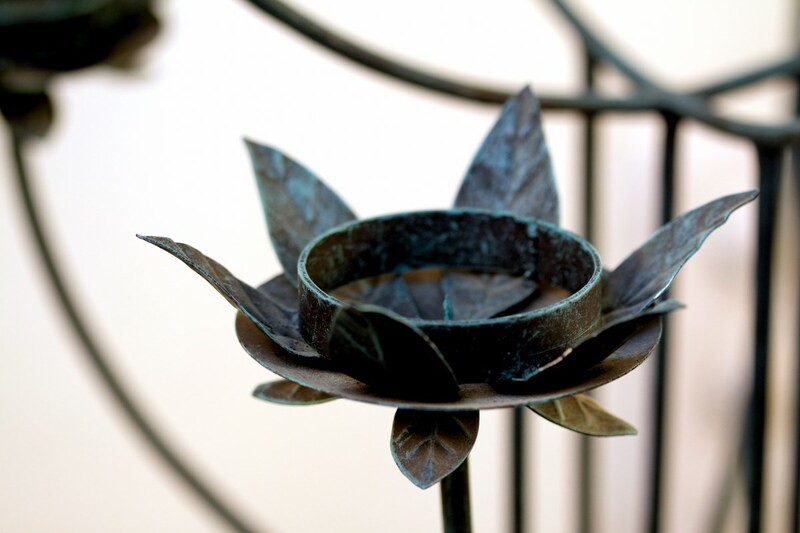 For an instant decorating magic look, this wrought iron candle stand with floral holders works wonders. Perfect to place on the floor, this candle stand adds the old-world charm where ever it is placed. Its powder coated makes a rather simple and bold statement.